For as long as things have been made, things have broken. And likely for nearly as long, things have been fixed. Yet there can be unexpected beauty and creativity in repairing something. Indeed, for some artisans, there’s a unique philosophical and spiritual dimension to making something whole again. 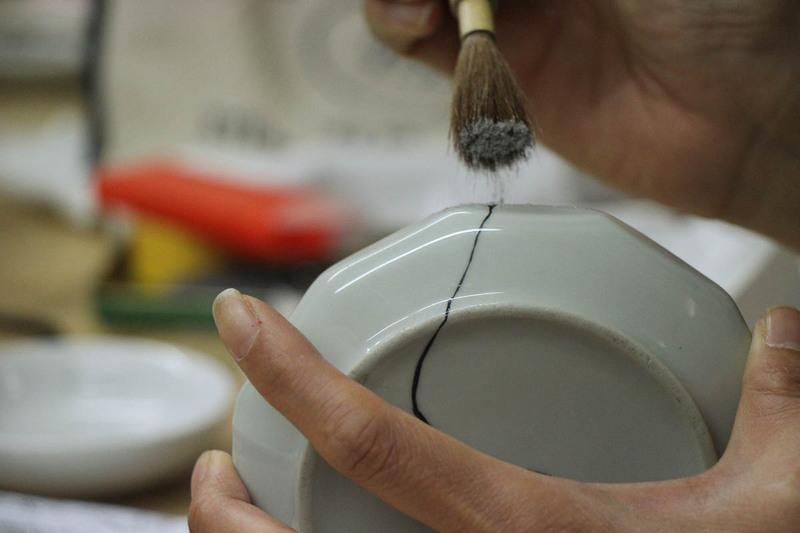 In Japanese craftmaking, the art of repairing broken ceramics is called kintsugi. 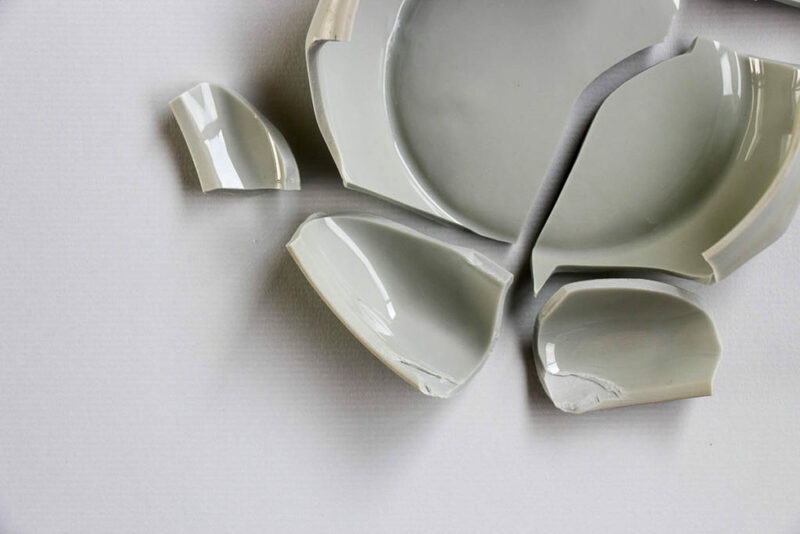 The original cracked or broken piece—perhaps a shattered plate, bowl or teacup—is reconstituted and bonded back together using a lacquer often coloured with gold or silver powder. The result is a new version of the original, this one highlighted by imperfections. The coloured cracks are evidence of repair and construction, like historical markers of what the piece has been through. 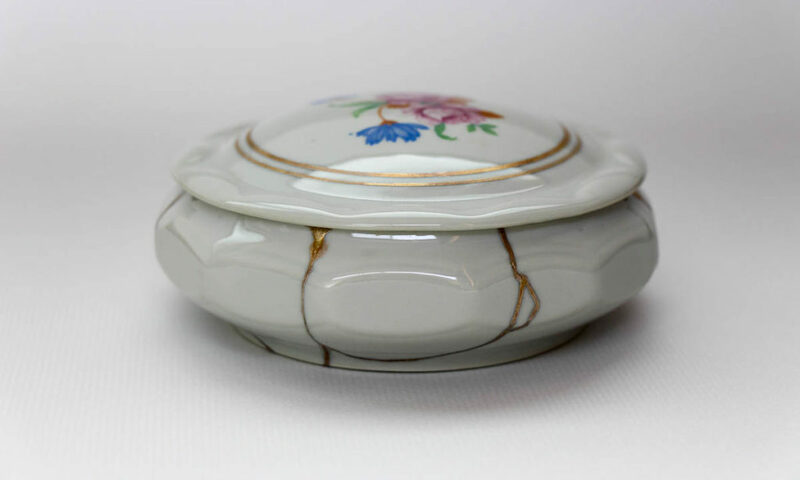 Some artisans and observers take a romantic view of kintsugi. 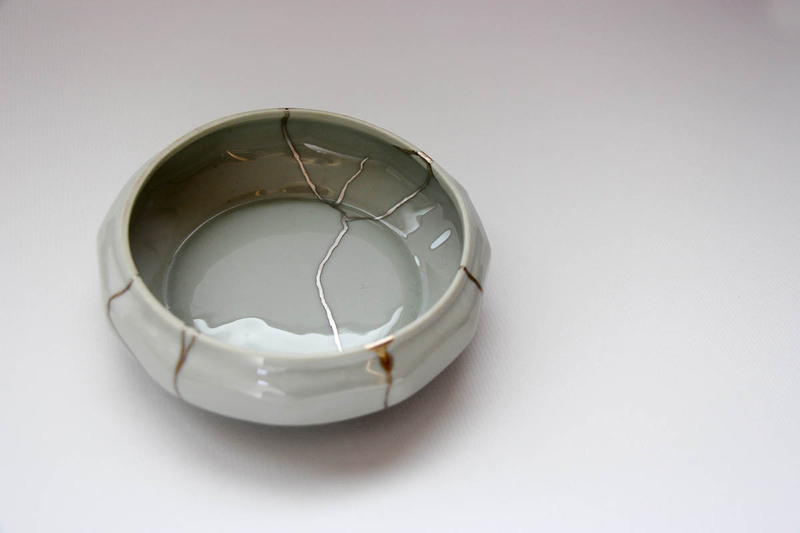 The cracked ceramic seems to embody its past, its mistakes, its rebirth. They compare kintsugi to life—being broken, surviving, showing scars. Funnily enough, Ikoma credits her mother for starting her down the path toward a career in ceramics. “My mother played an instrument and sang since she was 15 years old. Of course she became an ordinary housewife, but her understanding of art influenced me,” Ikoma says. “As a child, I was able to do drawings and learn piano. But I especially loved to draw.” Ikoma still paints, and some of her ceramics are covered in ink drawings. “During high school, I continued to draw and learn piano. Then, for university, I was aiming to be an artist, a painter, but during summer school, my high school had a ceramic kiln, and by chance there was a pottery teacher, and I took a lesson. It was the first time I worked three-dimensionally, as opposed to two, like with painting,” she says. The added dimension proved to be a lifelong source of inspiration. 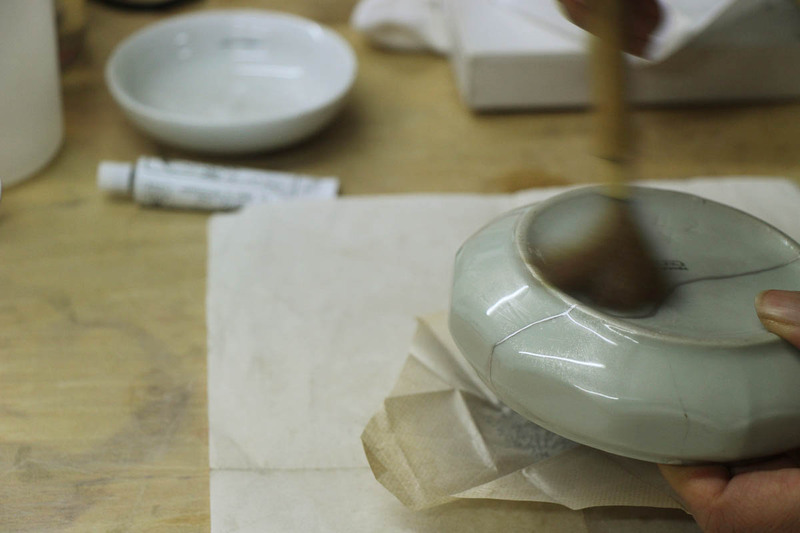 Along with repairs, Keiko still takes pleasure in making large ceramics, even if they don’t sell as well. To earn a living, she also makes smaller, more usable pieces. “It’s a balance,” she says. 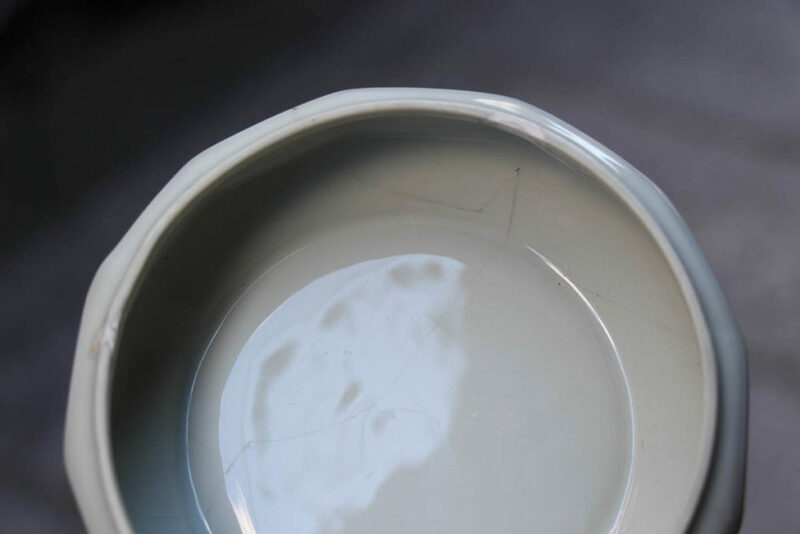 “To live as a ceramicist, you need objects that make a profit, that keep you going. But also, at the same time, I make pieces for my own enjoyment.” These days she often has 20 students in her studio, and teaching is her main source of income. 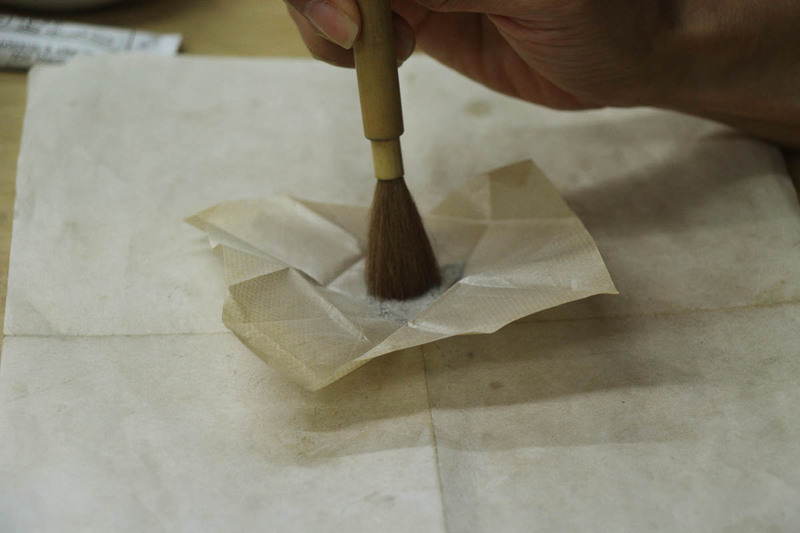 Ikoma often instructs her students to make large pieces because, as with her own work, the process gives them energy and adds a certain liveliness to the work. And she makes sure kintsugi is crucial to their education. Ryan Leahey wrote this for Living Form, which is located in Kanazawa and is affiliated with the Cooperative Association for Promotion of Kanazawa Kaga Maki-e and The Art of Travel, an art-focused luxury travel service. 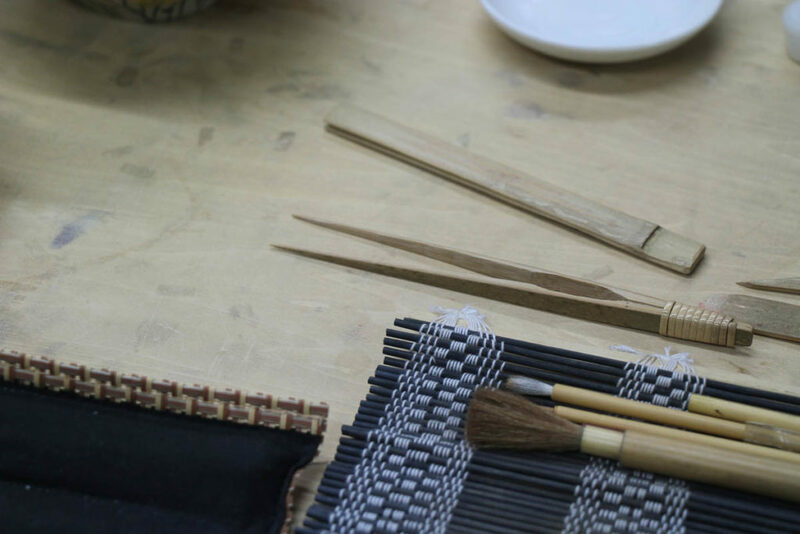 It aims to increase the awareness and relevance of Asian craft, particularly work from Japan. 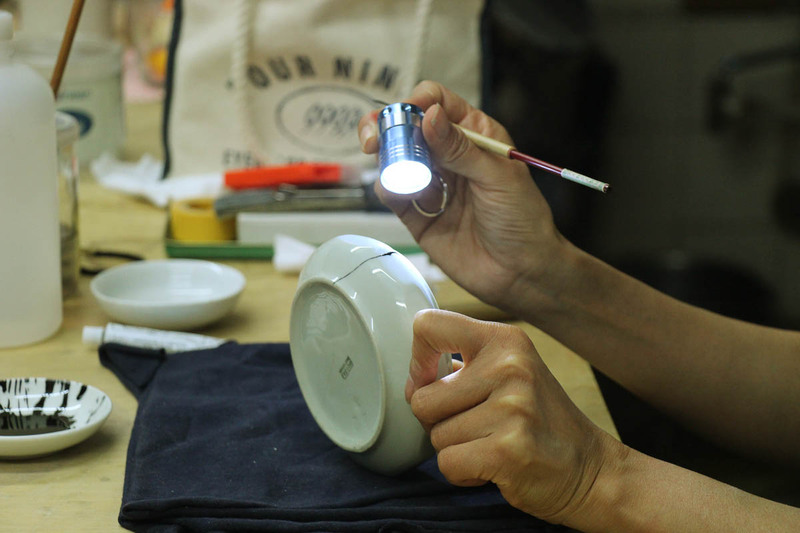 Its goal is to connect future collectors to objects, artists, and experiences that will ignite a lifelong passion for contemporary Asian craft. 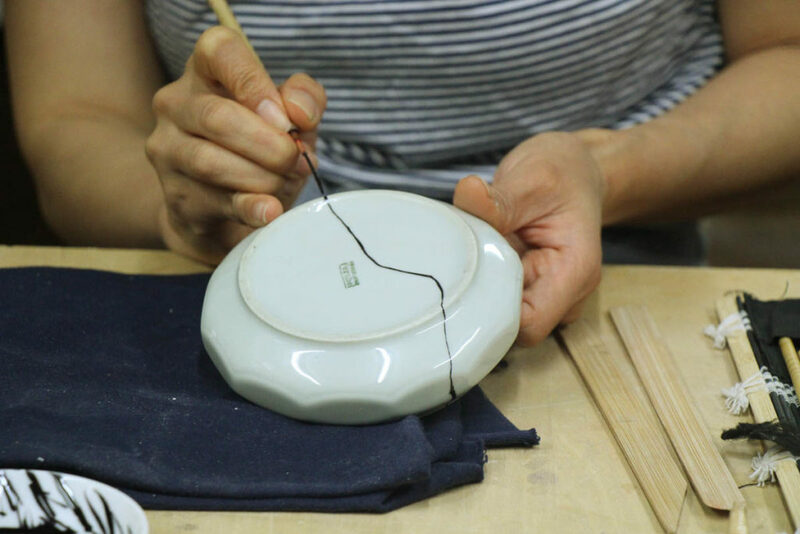 Living Form nurtures strong and sustainable relationships between Eastern makers and a Western audience.